MBA Human Resource with Marketing, CPT (Carlton, USA) & PHR Certified Talent Acquisition Development, Management & Engagement professional & an Entrepreneur with a decade of experience in corporate HR, agency, and private staffing environments. 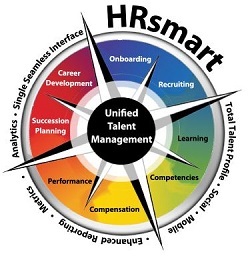 He has Directed global professional and college recruitment programs and provided expert counsel to internal/external clients (hiring managers/business partners) on recruitment strategy, desired vs. market-driven deliverable and expectations, process, tactical procedure, candidates' and metrics administration. He brings strong experience into Cross boarder Recruitment, Recruitment Consultancy and Recruitment Branding for various Fortune 100 & 500, Forbes listed customer and corporate houses across US, APAC, Europe and Asian Subcontinent. Has worked with Wipro Technologies, Birlasoft, Rose Internationals & US based Consulting firms. Has provide passive, target candidates to many clients by utilizing advanced online and offline sourcing techniques (rouse or competitor cold-calling, advanced [AIRS] internet searching, new technologies/websites, and professional networking). His expertise lies in high level market analysis and salary offer recommendations to clients based upon external talent compensation information and current market indices, internal equity data (experience, education, tenure, etc. ), the candidate's information (salary history, experience, education, industry accolades, etc.) and the company's desired market placement for the role. Mr. Amit Bansal, B.com (Hons) & MBA is responsible for Middle & High level engagements with Clients / Candidates and is responsible for driving the IT, ITES, Telecom, Financial Services , and Engineering Verticals. He brings around 10 Years of strong recruitments experience. Has gained substantial exposure in I.T., ITES, EPC, LPOâ��s, Big 4 Consulting, & Consumer Durable sectors but this did not stop him to successfully execute various Searches in Financial, Auto, Energy & construction as well as Industrial sectors. Has played instrumental roles in executing Cross Border Searches and managed Clientsâ�� expectation with premium quality. He has experience in managing Contingent and Executive Search businesses, and possesses a strong understanding and experience of global trends and diversified perspectives of the human capital sector. Has gained substantial exposure in I.T., ITES, EPC, LPOâ��s, Big 4 Consulting, & Consumer Durable sectors but this did not stop him to successfully execute various Searches in Auto, Energy & construction as well as Industrial sectors.